Dissociative Disorders research papers author the symptoms and signs of the psychological disorder that includes memory loss and identity change. Research papers on dissociative disorders from Paper Masters can be written on any aspect of these psychological disorders. Get them custom written on any of the three basic categories of disorders. Individuals with the psychological disorder known as dissociative disorders experience a sudden loss of memory or may experience a complete change in identity. Amnesia may be caused by a head injury or extensive psychological stress. With fugue, the individual develops amnesia and travels far away from his or her home and forms a new identity. 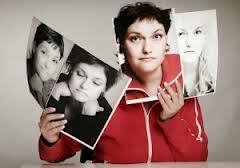 People with multiple personality disorder develop two or more distinct personalities with distinct memories, characteristics and relationships. The personalities are not aware of each other and usually shift control in times of sudden distress. A majority of individuals who suffer from multiple personality disorders suffered from extensive sexual and physical abuse during childhood. Dissociative disorders fall into several main categories: multiple personality, depersonalization disorder, amnesia, and fugue. Individuals who suffer from dissociative disorders change identities or suffer a sudden memory loss, usually as a result of extreme stress or shock. Persons in a dissociative state separate their emotions and thoughts from a past traumatic experience and lose full awareness of time, self, and external circumstances. Dissociative disorders run on a continuum of mild to severe, whereby a patient may suffer from simple disconnections of motor functions to a complete disconnect between intentional and unintentional behavior. Moreover, dissociative patients may totally disengage sexual behavior from personal awareness, cognitive control, and pleasure. Symptoms associated with psychogenic amnesia include a memory loss associated with extreme psychological stress. With fugue, the individual develops amnesia and a new identity and travels far from home. The least common form of dissociative disorder is multiple personality disorder, or dissociative identity disorder. With this form of the disorder, the individual develops two or more personalities, each with its own distinct memories, associations, behaviors and personality. One personality will overtake another personality during times of extreme distress. Depersonalization occurs when the individual develops a feeling of being detached from his or her self or physical body. Abnormal Psychology - research papers look at different perspectives on psychological abnormalities such as anxiety disorders and dissociative disorders. Schizophrenic Disorders - Though the term itself translates as “split mind,” schizophrenia is not multiple personality or dissociative disorder, as many lay people are prone to believe. Conduct Disorder - research papers examine the psychological disorder characterized on behaviors and is often seen as a precursor to antisocial personality disorder. Order a research paper from Paper Masters on Conduct Disorder from Paper Masters. Diagnostic and Statistical Manual of Mental Disorders - a research paper that examines the Diagnostic and Statistical Manuel of Mental Disorders. Causes of Abnormal Behavior - research papers discuss the different perspectives of what can cause behavioral abnormalities. Models of Abnormal Behavior - research papers discuss that model abnormal behaviors are based on the theory that abnormal behavior is a reaction or learned .behavior. Abnormal Psychology - Remember that abnormal psychology involves identifying the criteria for judging whether a behavior is psychologically disordered. Dimensions of Behavior - Research Papers look at a paper order for a psychology class, with specific questions that need to be in the project. Paper Masters writes custom research papers on Dissociative Disorders and author the symptoms and signs of the psychological disorder that includes memory loss and identity change.